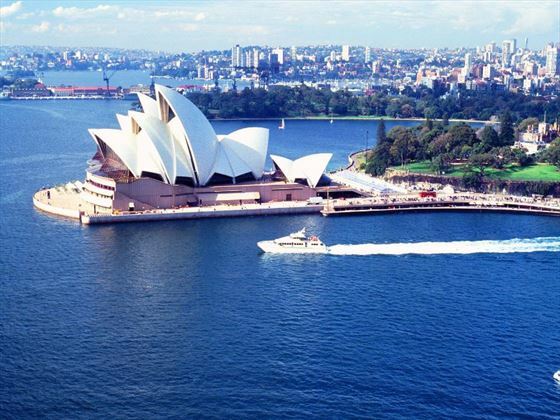 Arrive into Sydney and take a sightseeing coach tour of the sights. 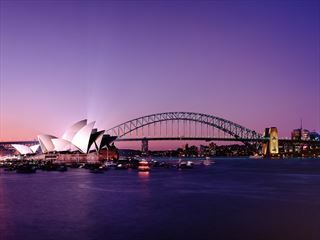 In the evening, take in the stunning 360 degree views of the city as you enjoy a welcome dinner at Sydney Tower. 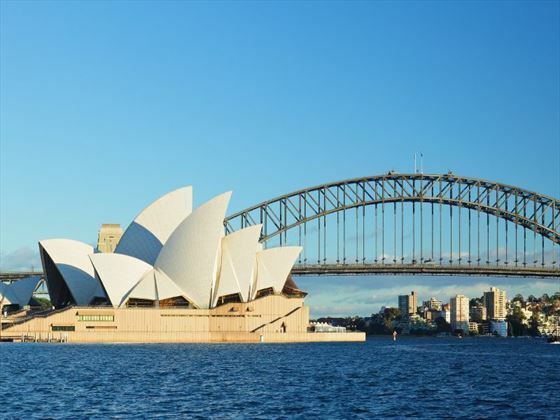 Drive along the famous Sydney Harbor Bridge to the seaside town of Port Macquarie today, admiring the sights and scenic views en-route. This beautiful town is blessed with some gorgeous beaches and nature parks. Today sees you explore Cape Bryon before heading north along the world-famous Gold Coast. 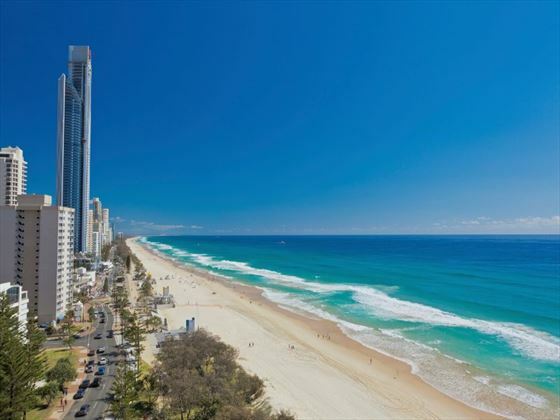 Spend time strolling along the renowned Surfers Paradise Beach and admiring the views before enjoying an evening of leisure to explore this area at your own pace. Begin today with a visit to the world-famous Australia Zoo which became a household name thanks to the late Crocodile Hunter Steve Irwin. This fascinating area is home to some wonderful species and is a great place to visit if you’re a wildlife enthusiast. Afterwards, journey north to Fraser Island to settle in at the Kingfisher Bay Resort. 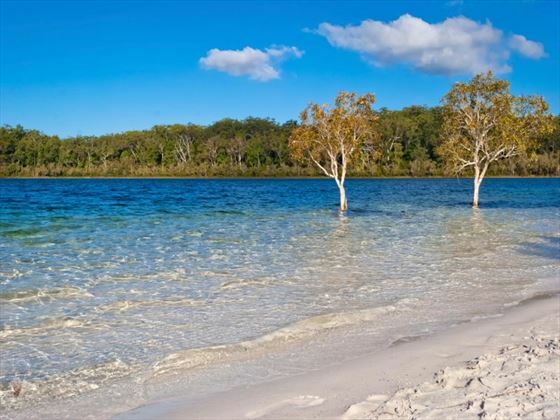 Spend time today exploring Fraser Island with a half-day tour in the morning then some free time in the afternoon. This picturesque island is a World Heritage site and is also the largest sand island in the world. 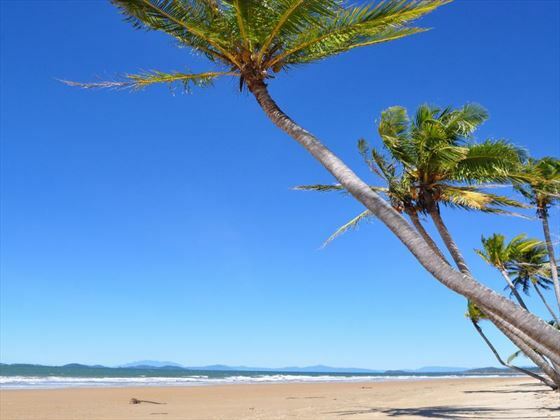 Cruise along the beautiful Hervey Bay today, traveling via sugarcane country to Rockhampton. This is one of Queensland’s oldest cities and a friendly place to visit. 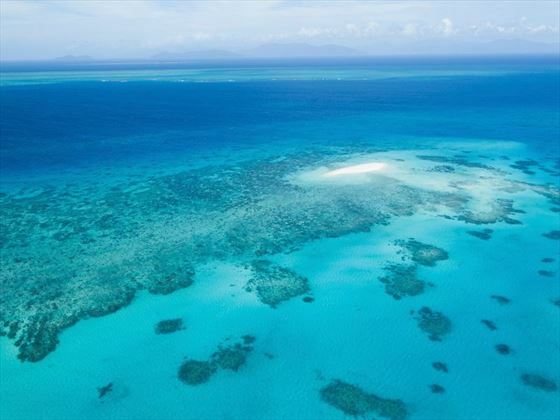 Take a tour of the Rockhampton gardens in the morning before embarking on a cruise through the Whitsunday Islands to Daydream Island where you’ll spend a couple of days relaxing and exploring. 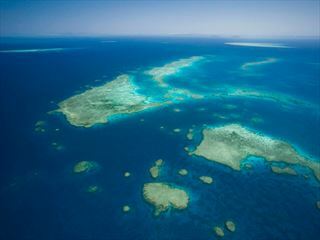 Take a ferry to Shute Harbor before traveling to Townsville for your city tour. Afterwards, make your way to the beautiful Mission Beach. Today sees you visit Millaa Millaa Falls and the Curtain Fig Tree in the morning, before boarding the Skyrail Rainforest Cableway for astonishing views over the treetops. Later on, arrive at your hotel for the next two nights – the Pullman Cairns International – where you can take in the mountain views from your room. Cruise to Reef Magic’s activity platform in the morning and make the most of this exciting location for the rest of the day. 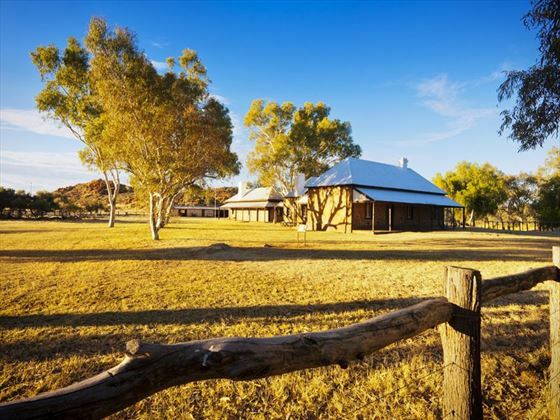 In the evening, visit Tjapukai by Night to enjoy dinner and take part in a corroboree. Today will be spent traveling, flying from Cairns to Alice Springs (flight not included). 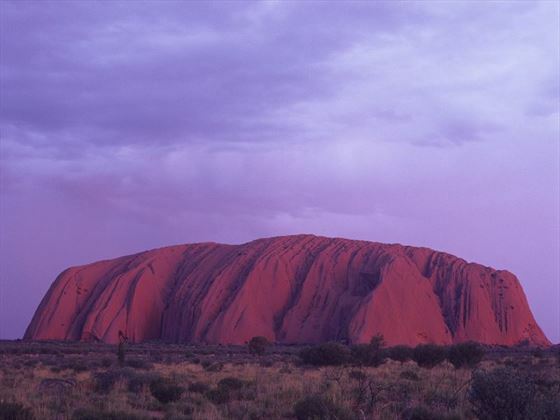 Rise early today to watch an amazing sight as the sun rises over Uluru, casting myriad colours over this awe-inspiring attraction. 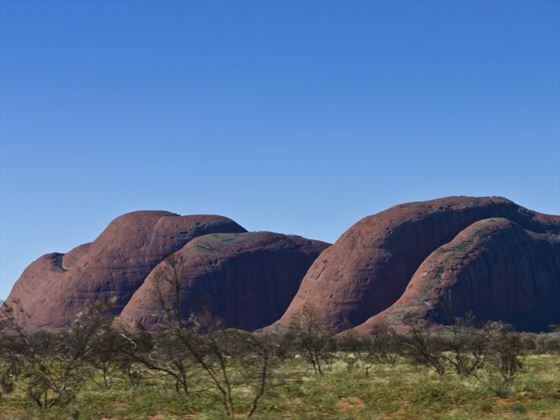 Afterwards, visit the rock domes of Kata Tjuta (The Olgas) and walk to Walpa Gorge to see the astounding scenery for yourself. End the day by traveling to Kings Canyon.